There are many health insurance companies in the U.S. A lot of them handling just a small regional area, while others insure patients across the country. There’s also Medicaid and Medicare. There are six of these biggest health insurance companies: WellPoint, CIGNA, Aetna, Humana, United Healthcare, and BlueCross BlueShield, although the latter works on a state-by-state basis. The five biggest health insurance companies insure approximately half of the insured population or well over 100 million people. Here we take a look at the five biggest health insurance companies. WellPoint has 34 million members in its affiliated health plans and more than 70 million insurees when its subsidiaries are included. This makes WellPoint the largest health insurance company in terms of membership. WellPoint was created from the merger of WellPoint Health Networks Inc. and Anthem, Inc., in 2004. WellPoint is headquartered in Indianapolis, Indiana. It is an independent licensee of the Blue Cross and Blue Shield Association serving members in California, Colorado, Connecticut, Georgia, Indiana, Kentucky, Maine, Missouri, Nevada, New Hampshire, New York, Ohio, Virginia, and Wisconsin. WellPoint's plans do business as Anthem Blue Cross, Anthem Blue Cross and Blue Shield, Blue Cross and Blue Shield of Georgia, Empire Blue Cross Blue Shield, or Empire Blue Cross (in the New York service areas). WellPoint also serves customers throughout the country as UniCare. One in nine Americans is insured through WellPoint. WellPoint’s managed care plans include: preferred provider organizations (PPOs); health maintenance organizations, (HMOs); point-of-service (POS) plans; traditional indemnity plans and other hybrid plans, including consumer-driven health plans (CDHPs); and hospital only and limited benefit products. The company also covers managed care services to self-funded customers, including claims processing, underwriting, stop loss insurance, actuarial services, provider network access, medical cost management, disease management, wellness programs and other administrative services. Affiliated companies provide an array of specialty and other products and services such as life and disability insurance benefits, dental, vision, behavioral health benefit services, radiology benefit management, analytics-driven personal health care guidance, long-term care insurance, and flexible spending accounts. Headquartered in Philadelphia, Pa., CIGNA’s history stretches back more than 125 years. The company’s revenues (as of December 2011) are $21.3 billion. CIGNA has 11.4 million insurees in the U.S. and another 7.6 million outside the U.S. (in 29 different countries) and is ranked Number 129 on the Fortune 500 list. In 2010, CIGNA processed 119 million medical claims. CIGNA HealthCare provides health plans and services to both companies and the individuals, offering medical, dental, behavioral health, pharmacy, and vision care coverage. CIGNA Group Insurance is one of the top providers of group disability, life and accident coverage in the United States. CIGNA International provides life, accident and supplemental health insurance as well as specialized health care and related employee insurance benefits to expat employees of multinational companies based abroad. Aetna was founded in 1853 in Hartford, Conn., and provides healthcare, dental, pharmacy, group life, and disability insurance, and employee benefits. It has almost 18 million medical members, 13.5 million dental members, and 8.5 million pharmacy members. The insurer provides benefits through employers in all 50 states, with products and services targeted specifically to small, mid-sized and large multi-site national employers. Aetna also serves Medicare and Medicaid beneficiaries in some markets. Aetna’s revenue for 2010 was $34,246 million, down 1.5% from the previous year. Founded in 1961 and headquartered in Louisville, Ky., Humana began as a single nursing home and grew to more than 100 hospitals before getting involved in health benefits. Humana has 10.2 million medical members and is Number 73 on Fortune magazine's list of the largest U.S. companies, ranked by annual revenue. 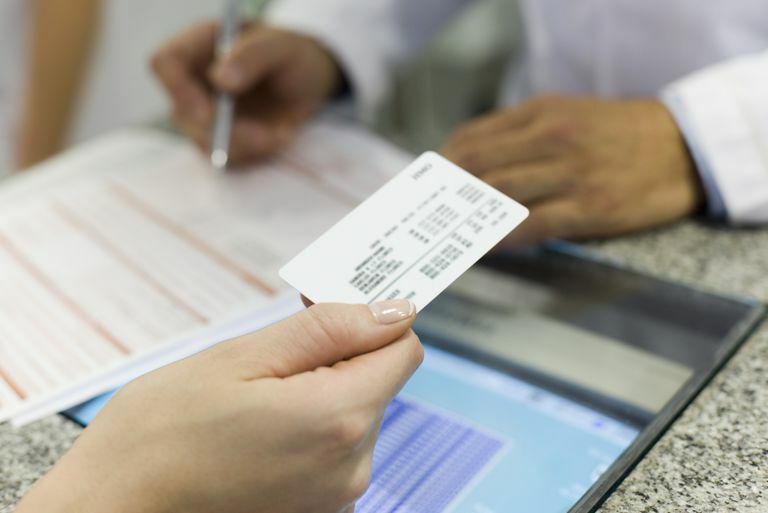 The healthcare provider also offers a pharmacy benefit manager, Humana Pharmacy Solutions, which is backed by a Fortune 100 company and is one of the highest-volume PBMs in the nation. Humana Pharmacy Solutions' mission is to give members access to the medicine they need while offering guidance on clinically proven, therapeutically equivalent drugs that bring better value to the member and the employer. UnitedHealthcare is an operating division of UnitedHealth Group, the largest single health carrier in the United States. The company was formed in 1977 through the reorganization of Charter Med Inc., which was established in 1974. The company provides products and services to some 70 million Americans and its pharmaceutical management programs provide more affordable access to drugs for 13 million people. UnitedHealthcare Employer & Individual provides benefit plans and service solutions on a dedicated basis to large, multi-site and national employers and coordinates network-based health care benefits and services on behalf of small to mid-sized employers, as well as individuals, students, and families. UnitedHealthcare Medicare & Retirement is the largest business in the nation dedicated to meeting the growing needs of seniors. UnitedHealthcare Community & State facilitates and manages healthcare services for state-sponsored public and Medicaid programs and their beneficiaries. The company’s revenues in the first quarter of this year were $25,432 million, up from $23,193 million in the first quarter of 2010. United Healthcare is ranked Number 22 on the Fortune 500 list based on revenues. It also received the No. 1 ranking for Innovation in the Insurance and Managed Care category on Fortune magazine’s 2011 list of the World’s Most Admired Companies.